It is April! If you were Born this Month, you are a Dazzling Diamond! 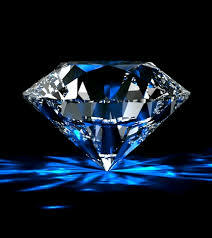 Diamond “The Stone Of New Beginnings” I heal emotional and mental pain reducing fear and bringing about new beginnings. Diamonds have been admired for centuries, and some historians estimate it was traded as early as 4 BC. Many ancient civilizations believed that diamonds were lighting made real on earth. Perhaps this is the reason that diamonds have often been associated with great healing powers. Many thought the diamond could cure brain disease, alleviate pituitary gland disorders and draw toxins from the blood.